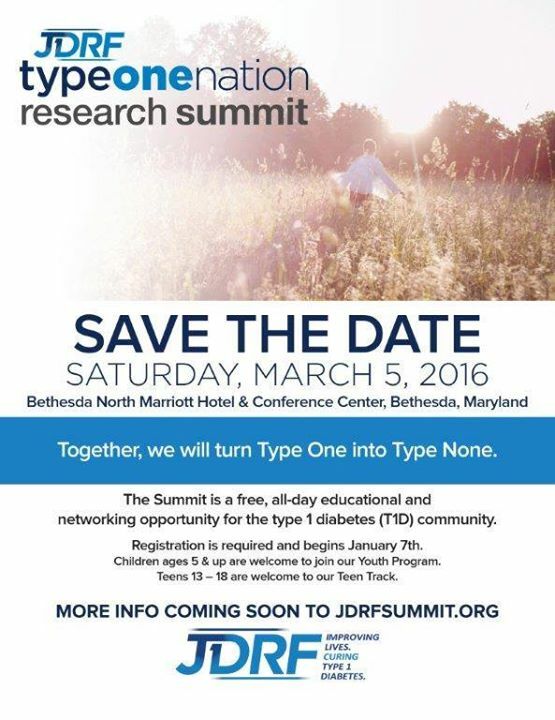 3/5/16: JDRF Greater Chesapeake &amp; Potomac Chapter&#39;s 2016 TypeOneNation Summit In Bethesda, MD. HomeTypeOneNation3/5/16: JDRF Greater Chesapeake & Potomac Chapter's 2016 TypeOneNation Summit In Bethesda, MD. 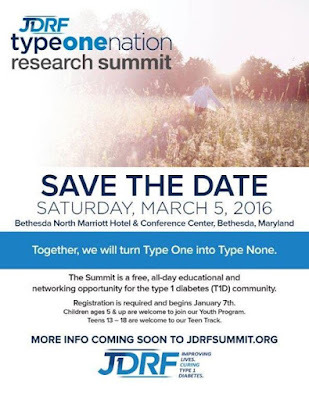 3/5/16: JDRF Greater Chesapeake & Potomac Chapter's 2016 TypeOneNation Summit In Bethesda, MD. the JDRF Greater Chesapeake & Potomac Chapter�s TypeOneNation Summit at the Bethesda North Marriott Hotel, in lovely Bethesda, MD. I�m also looking forward to facilitating a teen session at 9:45 on Saturday morning! If you�re anywhere in the area - come join in the fun! The Summit is free, starts at 8:30 AM & ends at 3PM - here's a link to the schedule. In a nutshell, the day includes presentations re: all the latest and greatest in diabetes care and research, Children's� program for ages 5+, a Teen Track for ages 13+, programs for t1 adults,and family sessions. There�s also an exhibit hall filled with vendors in the areas of D tech, resources, and research. Registration is free, is still open & I'm looking forward to seeing there!